For the last couple of years I have been President of our little Playgroup and unless any more little people join our family, these will be my last few months! I wanted to do a little fundraiser on top of our show-bag & crafting efforts at the annual 'Shire on Show' here in Cranbrook, Western Australia. 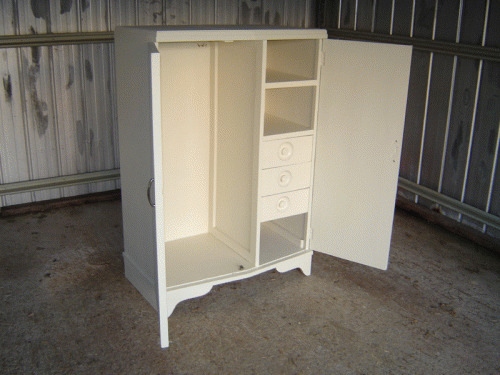 I took a plain little white mini wardrobe and thought it would be really fun dressed up for a little girl and offered for sale in the form of a silent auction. That way, Mum (or Dad, Grannies etc) could offer me what they would like to pay for it and the highest bid, wins. So I painted her inside and out with Henrietta and a custom mix pale green, and made simple curtains with a stunning ikat print. I added some knobs as hooks and decoration and offered her up for auction! Garden Table Ertonga Ev Bahçe Ofis Mobilyalari , Cafe, Avm, kamu kurum mobilyalari daha fazlasi için websitemizi ziyaret ediniz. plastik rattan mobilyalar ile tüm bahçe, veranda, teras, havuz, balkon mobilyalarini dünya markasi olan üretici firmalardan ithal ederek, bu magazalarindan toptan veya parekende olarak satisini yapmaktadir. Aradiginiz ürünü hemen bulun, inceleyin, kolayca satin alin! Nice post, Thanks for sharing.....! Nice collection of room furniture. Really nice designs of furniture. Thanks for sharing such a great information. It is very useful and informative. your post is so informative. 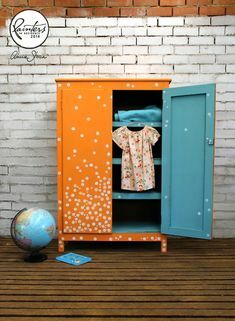 That small wardrobe looking awesome and your idea is really great, because I think its one of the best gift for children's and encourage them take care of their cloths and other things. One more things its available on cheap furniture. I saw all mini wardrobe very beautiful.I like that.Looking foreword for more same product please visit following information.Everest Furniture Factory located in Al Quoz, Dubai. Specialise in Re-upholstery, Sofas, Curtains, Chairs, Beds. Large Fabrics range. High Quality Finishing. furniture, kitchenware, etc. using these offers.. I think some images are not working and if you nee any help then you can contact us for full furniture nz images and also we provide some products. Very nice and useful post. The designs are so awesome. I like your idea of sharing this post with us. Thanks for sharing this post with us.